Home » Podcast Notes » Podcast vol. 403 – Mar. 4, 2010 – James Barbour, Clare Burt, Signs of Life and more! Keep warm while waiting for spring with our Jam packed new episode! 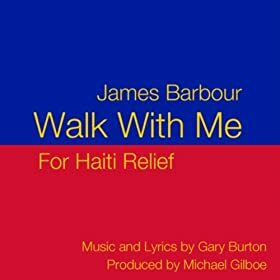 We let you hear James Barbour‘s new single, WALK WITH ME. He recorded the single for Haiti Relief, and it was produced by your host, Michael Gilboe and written by Gary Burton. Make sure you pick up the single at iTunes or Amazon to support a good cause! Clare Burt has been a big star on the West End for over a decade, and she is making her New York debut with her cabaret show, NOW YOU KNOW March 9-13. She stopped by the studio to discuss her show, her upcoming CD release and her career on the West End! +30 NYC is a collection of shows envisioning New York City in the future. Staged as a benefit for Materials for the Arts, Artistic Director Melanie Moyer Williams and show curator Dominic D’Andrea pop in to tell us about the show and how they pulled it all together. Set against the backdrop of WWII, SIGNS OF LIFE is a new musical from AMAS telling the story of nine Jews in a “model” concentration camp. The show has been receiving great notices for how it handles it’s dark subject, and one of the lead actresses, Patricia Noonan, came by to tell us more about the show and the real life inspiration. A surreal coming of age story for a young London girl, HANGMAN SCHOOL FOR GIRLS tells a universal story in a fresh manner. Writer/Actor Lucy Gillespie and Director Leta Tremblay were here to talk about the show and it’s staging challenges. Also check out the production blog! Monologist Frank Blocker is back with his new show, FEARLESS MORAL INVENTORY. He came by to talk about his one man-70 character play, as well as to discuss the CD release of his last show, SOUTHERN GOTHIC NOVEL, available on Amazon. in ON THE POSITIVE SIDE, Marty Cooper talks about the cavalcade of stars on the Great White Way this season lining up for (hopeful) Tony nominations. 1 Comment on Podcast vol. 403 – Mar. 4, 2010 – James Barbour, Clare Burt, Signs of Life and more!